The Skala side table is everything you need from a side table. With a good wide surface on the top, there’s plenty of space for you to place items that need to be in easy reach, or maybe a plant or other decorative object to make your environment look good. If the top space isn’t enough, then there’s a shelf beneath it, allowing you to tidy away any clutter while keeping it in a good accessible location. But it’s not just practical – it also looks great. The Skala side table is a modern piece of furniture, that will help bring any reception area or office up to the standards of 21st century interior design. 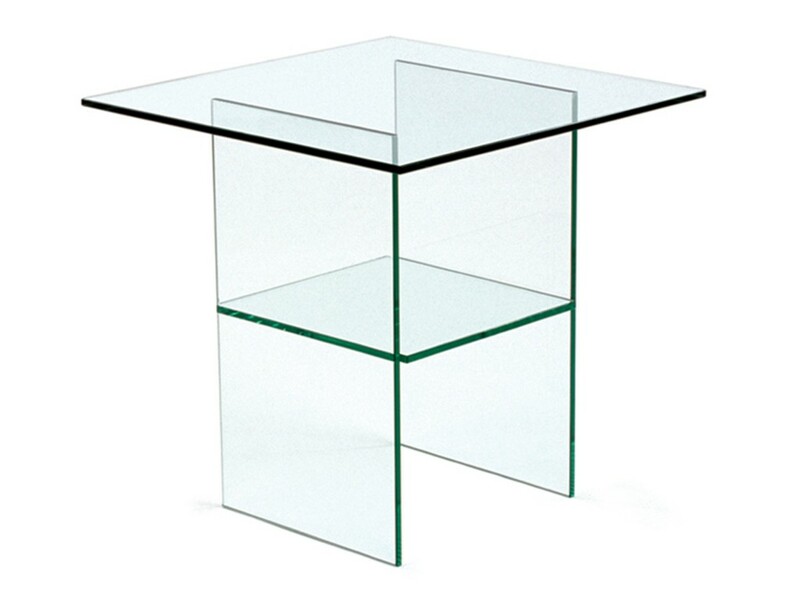 The Skala side table is made with 12mm clear toughened glass to the dimensions of 530mm x 530mm x 520mm.